Had he been alive to this time, Cecil The Lion could be a proud grandfather to his grandcubs, which are believed to have been spotted earlier at Hwange National Park in Zimbabwe. 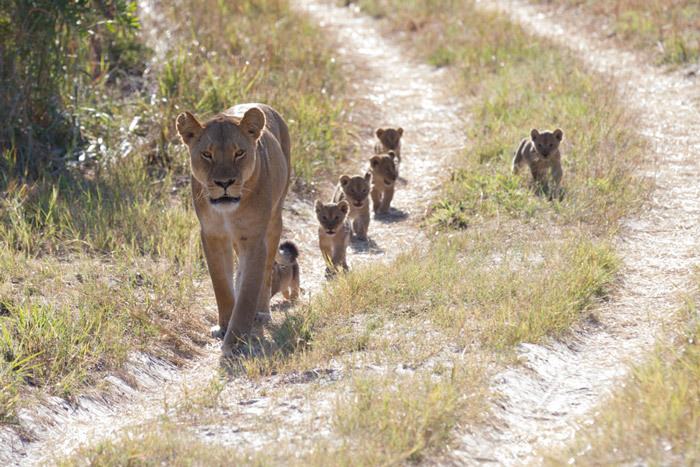 Wildlife photographer Graham Simmonds had seen eight lion cubs being led down a grassy path by their mother. "Buli, our guide, informed us that the two lionesses had been mating with a male named Xanda some months back," Simmonds said, detailing his encounter with the adorable animals in Africa Geographic. "Xanda is one of Cecil the lion's sons that has recently come into his prime, and the cubs seen here are thought to be the 'grandcubs' of the legendary Cecil." he added. Sam Mushandu, a guide at Hwange's Linkwasha camp, estimates that the cubs might be about four months old. According to other guides, they have recently spotted a total of 10 cubs. A lion's family tree often spans across different prides and great distances. Xanda, one of Cecil's surviving sons, has grown up and formed his own pride. And now, Xanda is raising Cecil's grandcubs. 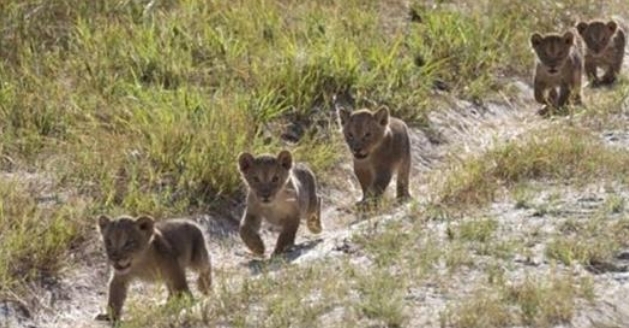 Responses to "Cecil The Lion’s Adorable Grandcubs are Out on a Daytime Stroll"
These little guys and gals are totally adorable! So good to see Cecil's grandcubs well and flourishing. Heartwarming to see them all together. Cecil would be proud! <3 - Thanks so much for sharing!